All nature lovers know firsthand the varied landscape and sports activities offered by the impressive relief of Green Spain. Galicia, Asturias, Cantabria and the Basque Country, have some of the most valuable ecological areas and conservation across Europe. The coastline in the north has more than 2,000 kilometers of spectacular cliffs length plagued with buildings that seem to defy gravity; mountains delight hikers and climbers; lush forests; beautiful waterfalls and beautiful beaches. In short, a perfect combination for those seeking a unique environment in which the mountain and the confluence between the Atlantic Ocean and the Bay of Biscay come together to result in a high biodiversity. We show you the best Natural Parks and Biosphere Reserves in northern Spain where you can enjoy an environment particularly suitable for those looking to escape the stress of the city in a unique ecological framework. 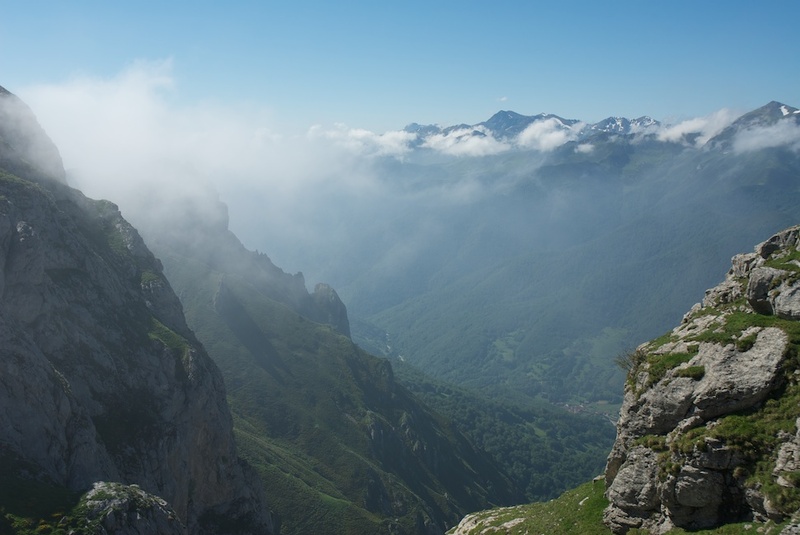 The Picos de Europa is the first National Park of Spain that received this designation. 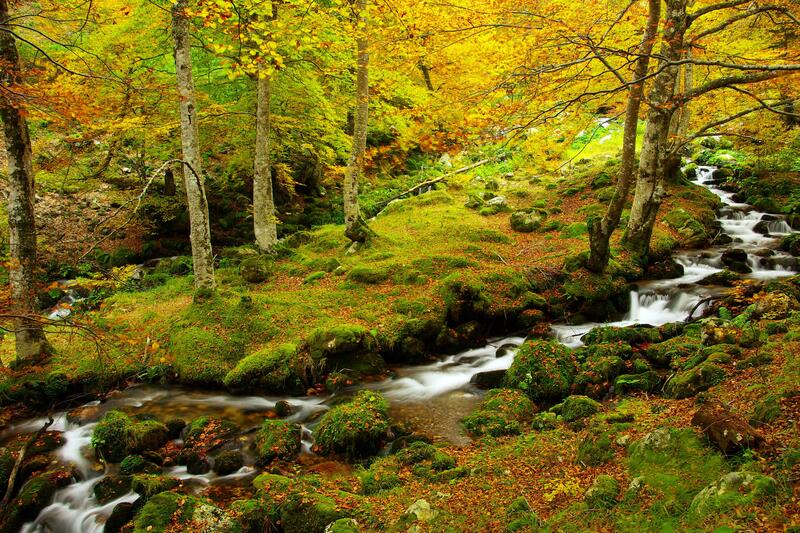 Its 65,000 hectares, which have made it become one of the largest protected area of Spain, spanning cover the regions of Cantabria, Asturias and Castilla y Leon. Declared a Biosphere Reserve by UNESCO in 2002, it is divided into three massifs: the Western Massif or Cornión, the Central Massif or Urrieles, and the Eastern Massif or Andara. The Central Massif is the most abrupt and the one which has the highest altitudes: Torrecerredo summit, of 2,646 meters; the Naranjo de Bulnes, of 2,519 meters or the Pico Tesorero, of 2,570 meters. The wet and heavy rainfall climate in the area with an almost constant presence of snow, makes fog banks frequently arise. This declared Biosphere Reserve area spans the following municipalities in the province of Lugo: Rábade, Outeiro de Rei, Pol, Lugo Castroverde, Guntín, O Corgo and Baralla. With more than 363,000 hectares, the Terras do Miño Reserve ranks second largest of the biosphere reserves of Spain and covers 40% of the province of Lugo. 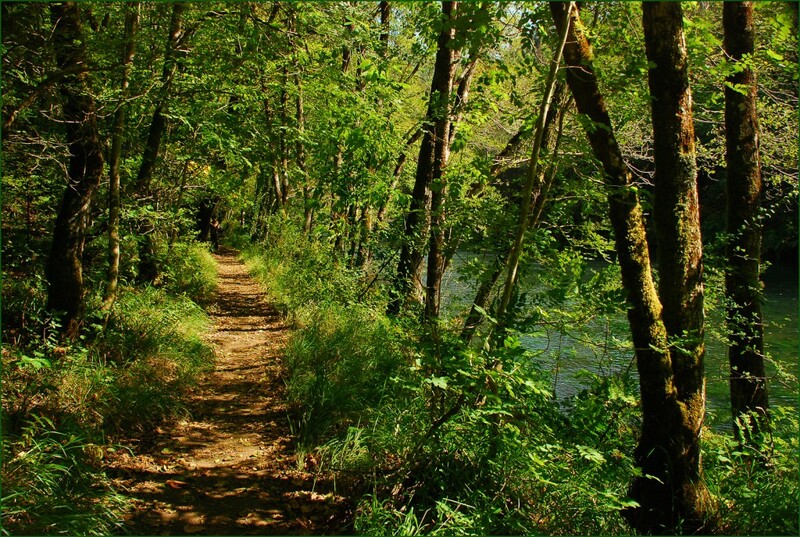 The core area of the reserve consists of three subareas of the interior with figures of specific protection: Special Protection Area of Natural Values Miño-Neira, the Parga-Ladra-Támoga river complex and the Serra do Xistral. The last two areas have been declared Site of Community Importance (SCI) for their valuable ecosystem conservation. In addition to its scenic beauty and natural significance in the Reserve you can enjoy important architectural buildings like the fortress of San Paio de Nar, in Friol, or the Wall of Lugo. Located in the Principality of Asturias, the Natural Park of Redes has a total area of ​​377.36 square kilometers, covering the municipalities of Caso, with 307.94 km² and Sobrescobio with 69.42 km². The characteristics that made it a natural park in 1996 were its unspoiled nature and its abundance of trees, as well as the limited impact that the men and women who live there have had on the natural environment. In addition to the above recognition, the park was included by UNESCO in the world network of Biosphere Reserves in 2001. 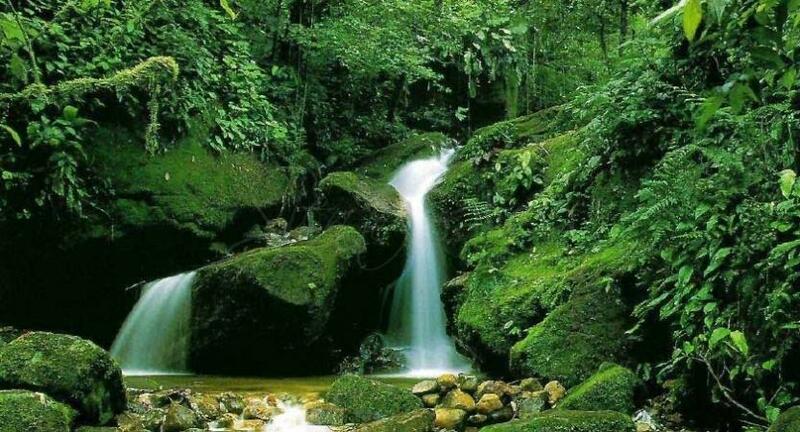 The Nature Network has a terrain of medium and high mountain dominated by the Atlantic forest, meadows and pastures in the funds valles. The beech forest is predominant in the mountains of Redes, but we must also highlight important areas of oak. The minimum altitude of the park is 400 meters above sea level and the highest is in the Picu Torres 2,104 meters. Under these conditions, the options for hiking are unlimited. 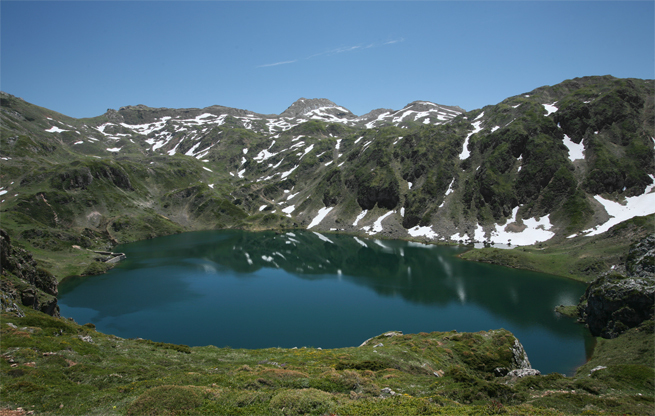 Located in the central area of the Cantabrian Mountains, covering a total of 39,164 hectares of the municipality that gives name, Somiedo was the first Spaniard space declared Natural Park in June 1988. This statement was complemented in 2000 by Unesco who recognized it as a Biosphere Reserve. The Park represents faithfully the characteristic natural and ethnographic values of the Asturian mountain landscape. With an area of approximately 291 square kilometers, the territory is divided into four main valleys: Pigüeña, Saliencia, Somiedo and Valley. This protected area is located in the Basque province of Vizcaya and covers a total of 22 municipalities among which are the Gernika and Bermeo. With about 220 km², the natural environment of the estuary that in 1984 was recognized as a Biosphere Reserve, has all kinds of ecosystems through which has extensive biological variety in its flora and fauna. 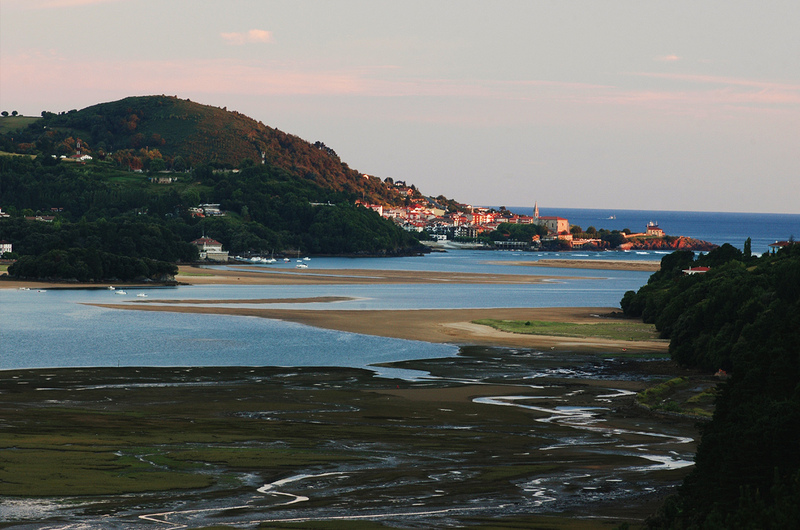 Above 70% of the Urdaibai Reserve it is full of woods and in different biotypes inhabit or pass all kinds of animal species, especially it is a resting place for birds that travel from Europe into Africa. This vast natural wealth, made centuries before humans eligiesen this area to live, as witnessed Santimamiñe Cave. On the banks of the river Eume is this area of unspoilt nature, in which the beauty of lush vegetation with the strong presence of small aquatic environments such as waterfalls or streams are combined. Fragas do Eume, whose extension covers over 9,000 hectares, comprising the municipalities of A Capela, Pontedeume, Monfero and As Pontes de García Rodríguez. Compared to its surface, its small number of inhabitants-about 500- makes this park is the preferred choice of those who want to enjoy a walk in a quiet and photogenic which has been captured by the lens of a large number of audiovisual professionals throughout the years. Your tree species, among which are ferns, chestnut or ash, hide, after shining greenery, small architectural jewels such as cruises, stone bridges and the Monastery of Caaveiro, with more than ten centuries.